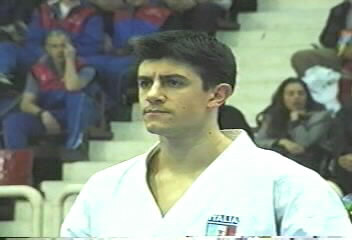 A Shotokan version of Unsu kata performed by Lucio Maurino from Italy. 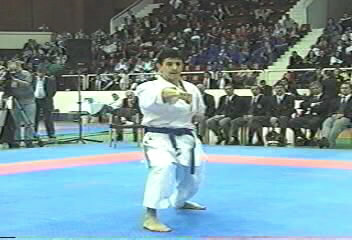 This kata was performed in final match in Sofia 2001 Tournament. Unsu Shotokan | Performer: Lucio Maurino | Duration: 00:01:43 | Format: mpg | Video Size: 17,2 MB | Player: Windows Media Player or Media Player Classic. Chatanyara Kushanku by Antonio Jose Diaz Fernandez from Venezuela. 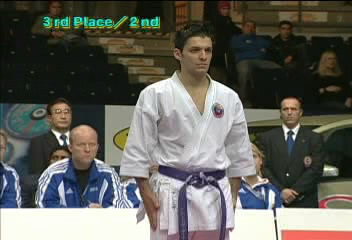 This kata was used in 3rd place position match in 18th WKF Tournament. Chatanyara Kushanku | Performer: Antonio Jose Diaz Fernandez | Duration: 00:02:53 | Format: mpg | Video Size: 28,8 MB | Player: Windows Media Player or Media Player Classic.